In late 2015, the Lifehack crew teamed up with Massey University’s School of Design, to do something different with their design students. 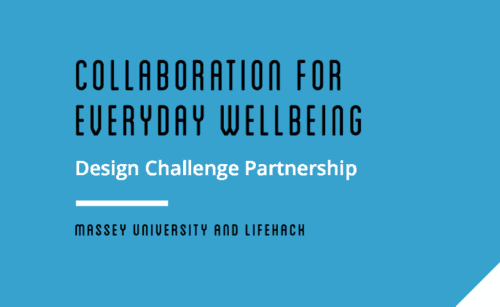 Instead of focusing primarily on design skills (such as graphic design, textiles or documentary photography) and applying them to a topic area, we started with the topic area — Everyday Wellbeing — and asked them to investigate an area of Wellbeing they wanted to make a difference on. The report sums up the setup and insights. A Facilitator’s Toolkit with worksheets and how-to’s will follow next month.